I wanted to make this pulled chicken recipe from Food Network, it sounded like a fun take on pulled pork and it had great reviews. I poached the chicken, which took quite awhile. Then I made the barbecue sauce, which had an unusual list of ingredients, from maple syrup to bourbon. I tasted the barbecue sauce (thank goodness!) 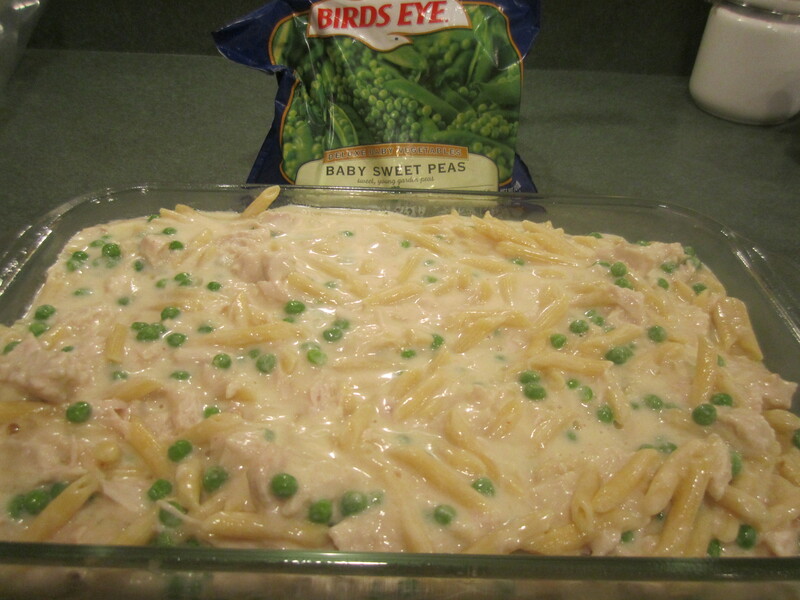 before I put the dish together and it tasted awful! This was not going to work. So I threw out the sauce but then I was left with all this beautifully poached chicken! I frantically searched the internet with hope of finding a recipe that included 4 cups of chicken and came up with one from Southern Living. I didn’t like quite a few of the ingredients (crackers, pecans, totellini) but the sauce for the casserole sounded really good so I gave it a try. 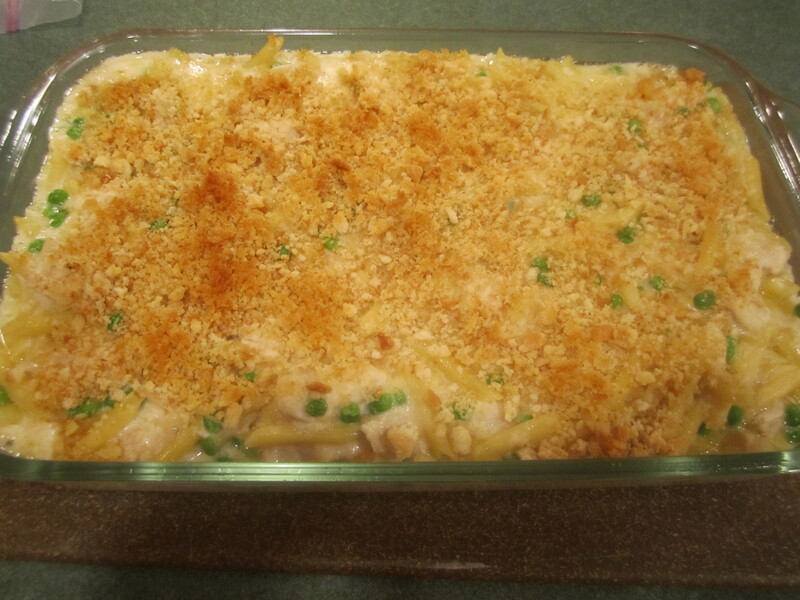 Surprisingly, to me anyway, (I had never hacked a recipe so severely as this one) it turned out really good! Bring a large pot of water to a boil and cook Penne according to package directions. 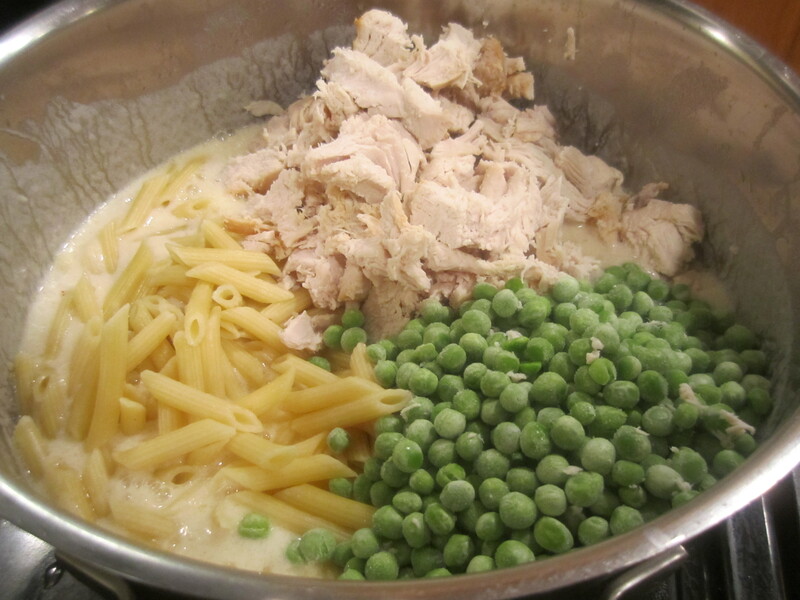 Drain pasta in colander and set aside. Preheat oven to 350 degrees. Spray a 13 x 9 inch glass baking dish with canola spray. 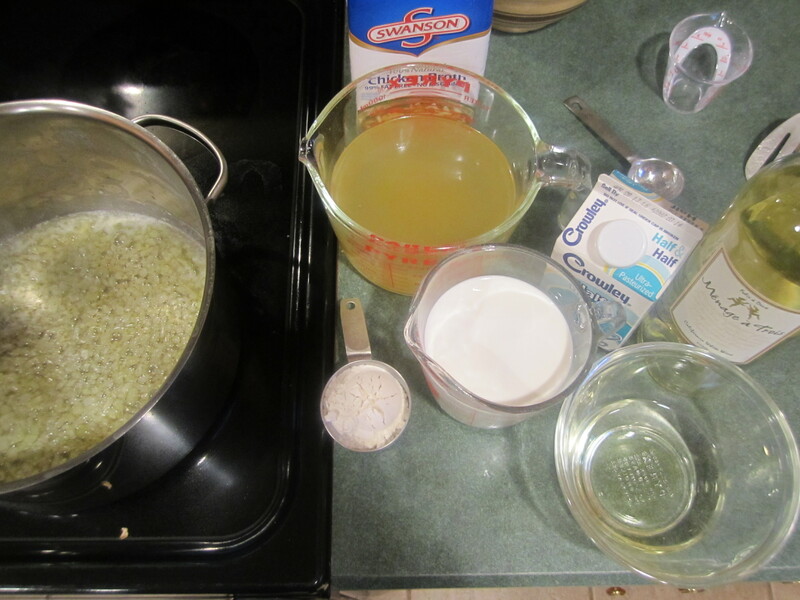 Using the same pot that cooked the Penne, place pot over medium heat and add butter and olive oil. 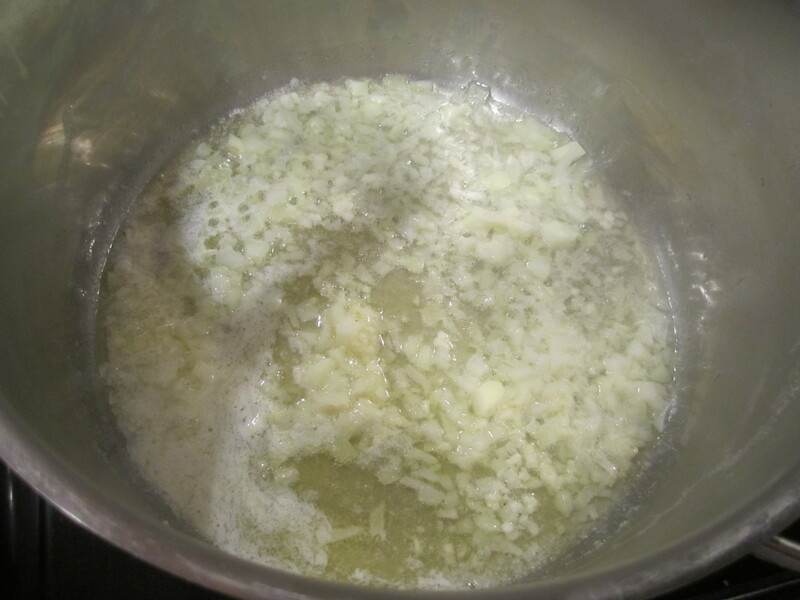 When butter has melted, add onion and garlic and saute for 5 to 6 minutes until tender. 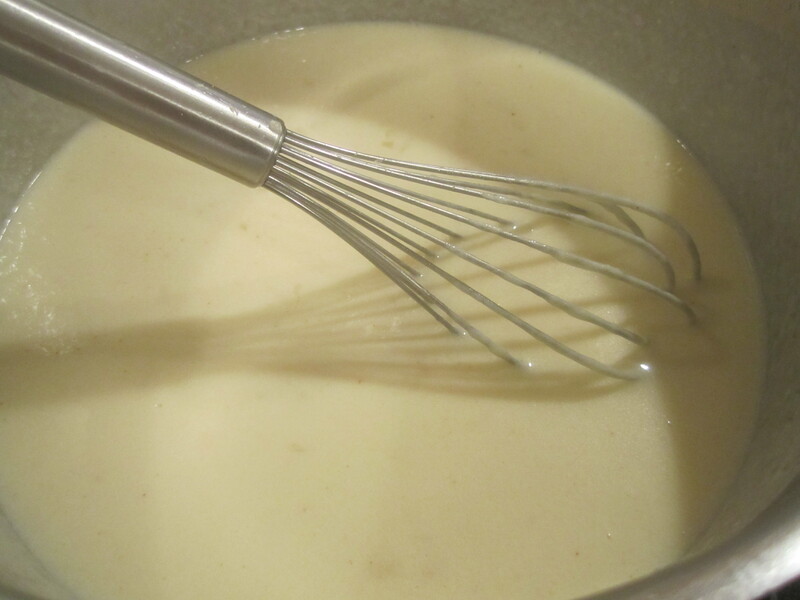 Add flour, stirring until smooth. Cook, stirring constantly for 1 minute. 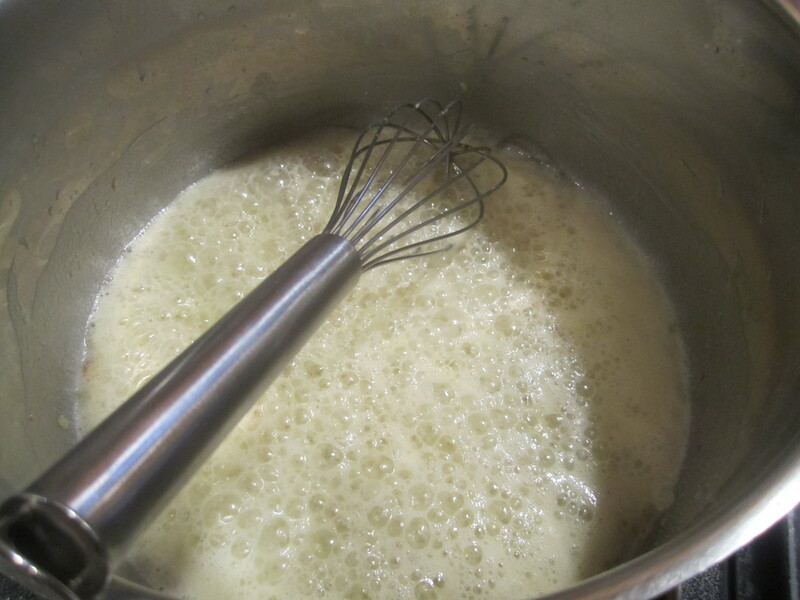 Whisk in broth, half-and-half and white wine. Cook for approximately 20 minutes until slightly thickened. 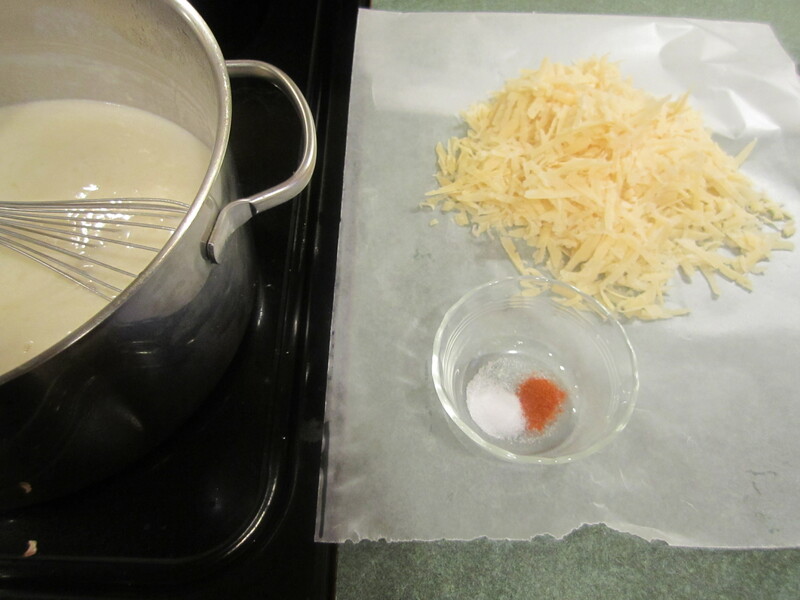 Remove from heat and add cheese, salt and red pepper, stirring until cheese melts. 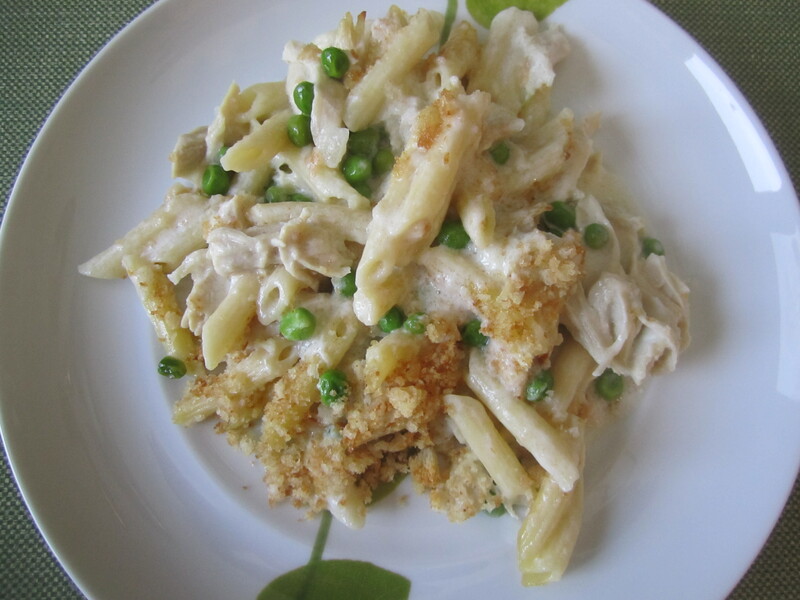 Add Penne, peas and chicken and stir until combined. Spoon into baking dish. 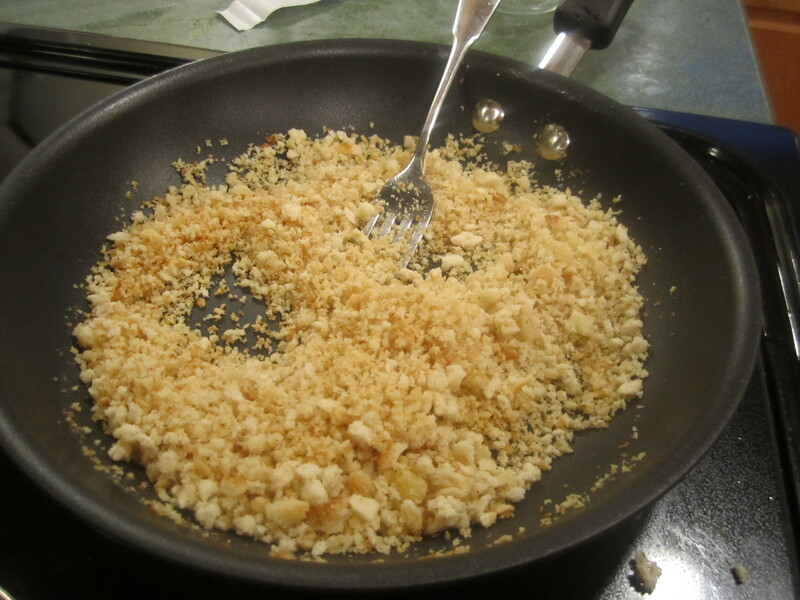 In a small fry pan over medium heat, melt the 2 tablespoons of butter, add breadcrumbs and stir until combined. Cook, stirring constantly, until slightly toasted and fragrant, about 5 minutes. 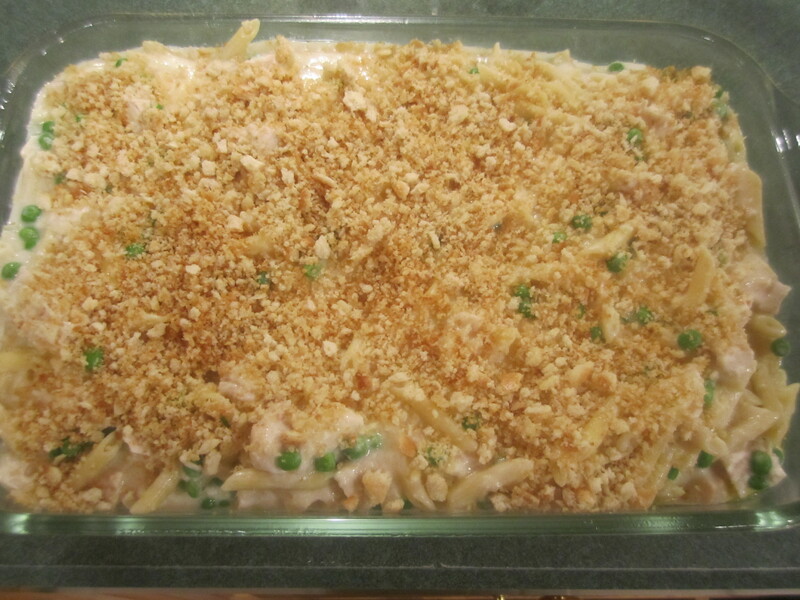 Sprinkle over the top of the casserole. Put casserole in oven and bake for 20 minutes. Let rest for 5 minutes before serving. 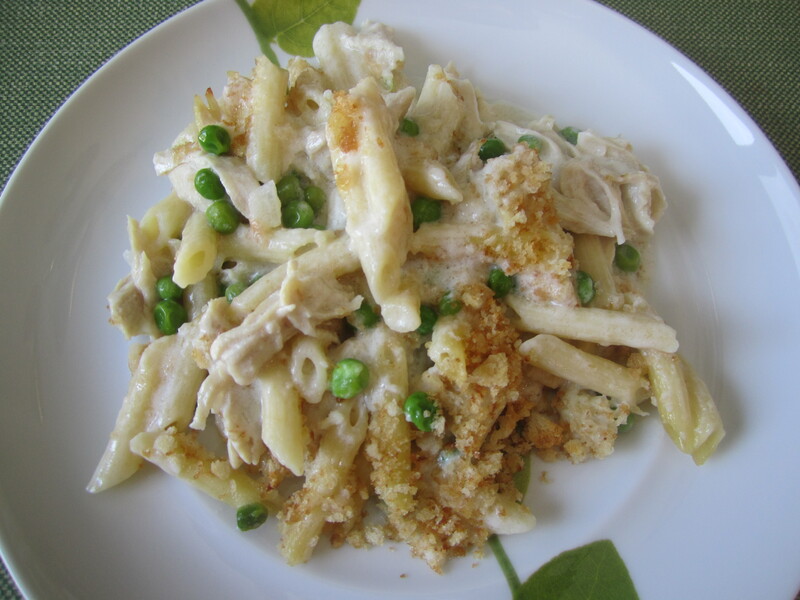 This sound so good, thanks for sharing this delicious looking recipe.